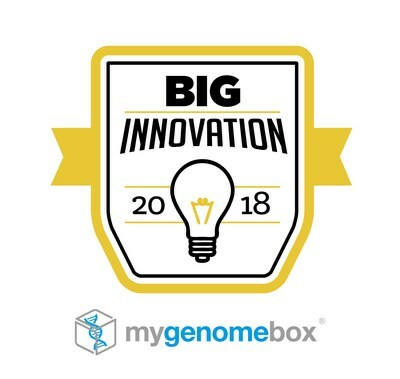 INCHEON, South Korea and PHILADELPHIA, Feb. 13, 2018 /PRNewswire/ — MyGenomeBox announced it has been named a winner in the 2018 BIG Innovation Awards presented by the Business Intelligence Group. MyGenomeBox is the world’s first open genome-based DNA platform of "Genetic Data Management" and "DNA App Store." They utilize genomic big data to make it possible for anyone to manage or improve their lifestyle based on their own genome information. Through the development of "DNA App Store" technology by MyGenomeBox, genome information is no longer just for research or medical purposes but also for individuals to manage and understand their own information to use in various ways to upgrade their lifestyle. MyGenomeBox has already been recognized several times for their innovation and the growth potential of their business model in the global market. They established users from 51 countries around the world and started to collaborate with various global innovative companies for their business expansion to other regions and countries such as Hong Kong, India and Russia. "MyGenomeBox shows the diversity of innovation and its impact on the economy, our cultures and the world as a whole," said Maria Jimenez, chief operating officer of the Business Intelligence Group. "We are thrilled to be honoring MyGenomeBox as they are leading by example and making real progress on improving the daily lives of so many." MyGenomeBox is expected to play a leading role in making a genome based open sharing eco-system for everyone to pursue better and smarter lifestyles with their own information, and the possibilities for their business are sure to expand. MyGenomeBox has constructed a user-friendly "Open DNA Platform" for suppliers and consumers, where consumers store their genetic data in a highly secure cloud, which makes it easy for them to get access to their data and purchase DNA apps anywhere and anytime they need it. Their users have begun to apply their genetic information to their own lifestyle, such as optimized skin care, diet control and therapy, as well as mental healing programs to improve self-confidence and creativity.